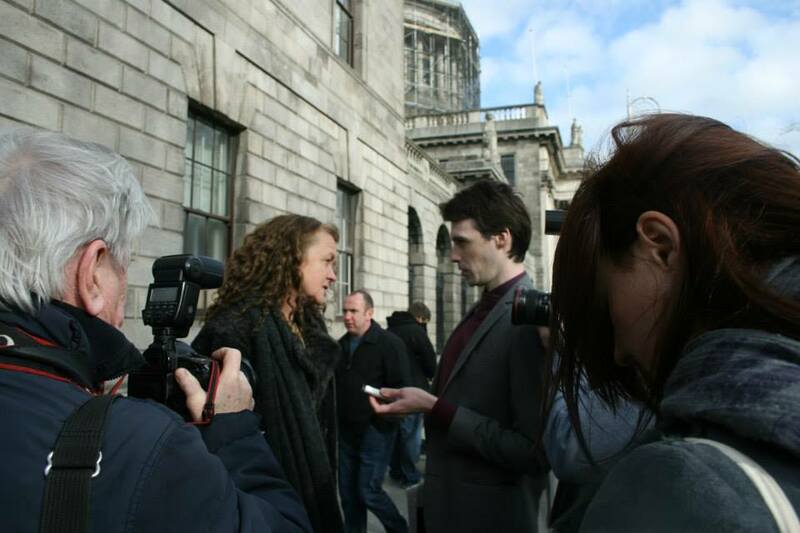 The Philomena Canning case a year on. This day last year; 12th September 2015 Self Employed Community Midwife Philomena had not long delivered a baby and had some 29 women in her care. Some of those women were about to give birth, some had simply booked her for their births that were over six months away and others were receiving postnatal care for themselves and their babies. 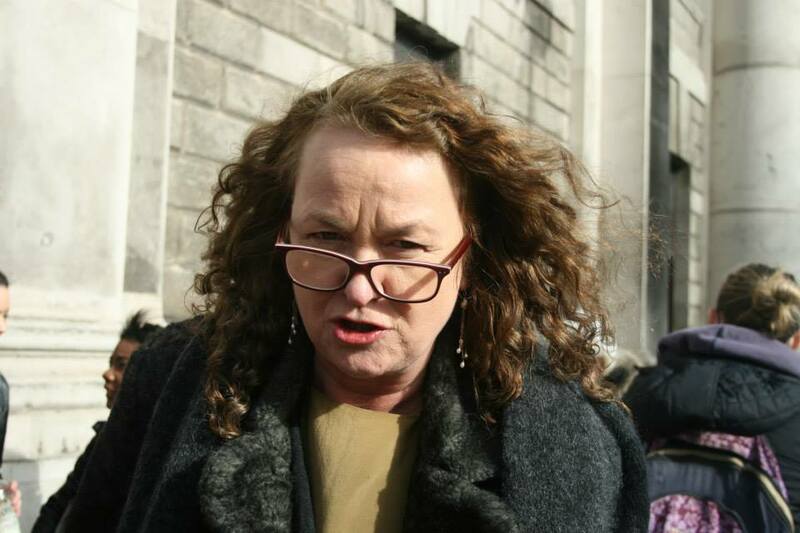 At 5pm on the 12th September 2014 Philomena Canning was instructed by the HSE that she was no longer to continue care of her clients as her state clinical indemnity had been revoked and she was to hand over all of their files immediately to the HSE. Initially Philomena assumed there had been a misunderstanding and she would be reunited with her clients within the week, but this didnt happen. On the 24th September and then on the 29th September she went to the High Court to seek an injunction against the revoking of her indemnity, but she was unsuccessful. In return for the indemnity the HSE wanted her to be supervised and work with a second midwife. Philomena rejected this offer and the suspension of her indemnity continued until she lodged an appeal. 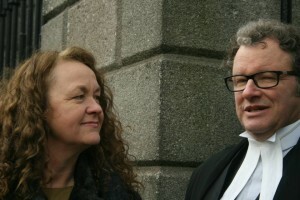 The appeal was heard at the High Court on the 27th February and and on the basis of testimonies of expert witnesses provided both by the HSE’s and Philomena s legal team the injunction was granted with full costs. Everyone thought this would mean that Philomena would return to practice. But this was not the case. 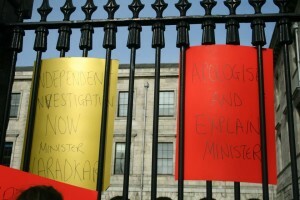 The HSE were running a second investigation in parallel with the one that had just been discredited. Many women and midwives came to support Philomena at the court acourt appearances and they were understandably frustrated and angry, A lot of questions were left unanswered also. 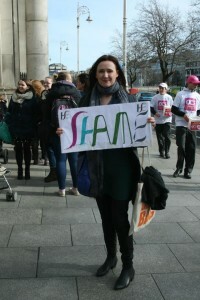 Women wrote to th TDs to Leo Varadkar and to their local councillors. and yet the situation remains that Philomena has still not returned to practice. Philomena remains keen to return to work. However, despite being reinstated by the HSE back in February 2015, she continues to be unable to return to practice as long as the second HSE report (promised in March 2015, relating to the “incidents” at the centre of her suspension), remains unforthcoming. Even though independent expert witnesses have fully supported every aspect of Philomena s practice in both cases, the HSE are persisting with this report. It would be professionally compromising for her to return to work. until the HSE’s systems analysis report is complete. 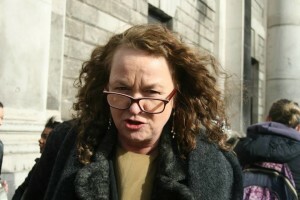 What did Philomena’s removal from practice mean for women booked with her? 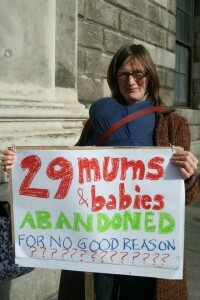 One woman was due to give birth over that first weekend when Philomena was suspended.. No carer was put in place for her. Others were due to give birth over the next couple of weeks and no carers were made available for them either. The women were anxious frightened and apprehensive. Mostly they were also without antenatal care, which is not best practice, especially at term. Some of the women were able to find other midwives to take them on within the national home birth scheme, others had to birth in a hospital setting, some were able to birth with the NMH home birth scheme and some were fortunate enough to be able to access private midwifery care. 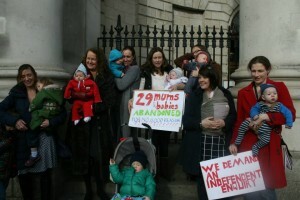 The last of the 29 women booked in with Philomena gave birth with the Community Midwives at the NMH in April this year. 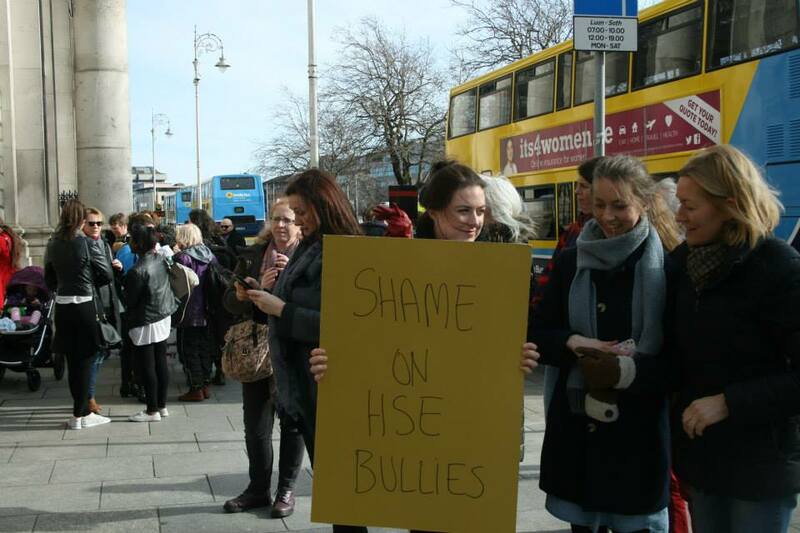 The manner in which women had their carer removed from them without any alternative care being provided still remains an appallingly dangerous and callous act on behalf of the HSE. What did this mean for other women seeking home birth in the areas that Philomena served? 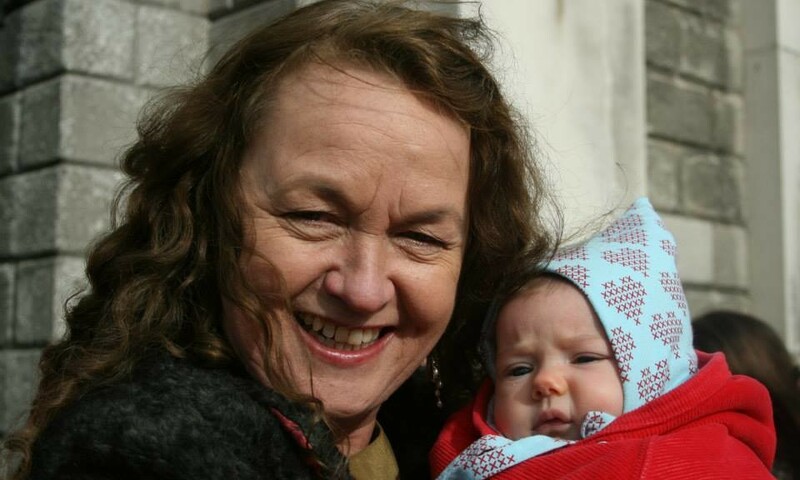 Since Philomena’s removal from practice women in the areas of South County Dublin, Wicklow, parts of Wexford, Kildare, Meath and Louth have been without a free homebirth service with full continuity of care. Women in these areas have been able to access a private home birth service, but this is not an option for all women. 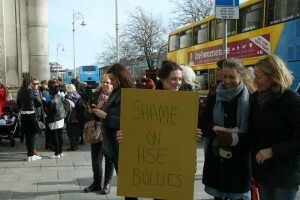 In particular women on a medical card who fall outside the administrative catchment area of the NMH’s home birth service have been particularly badly affected. 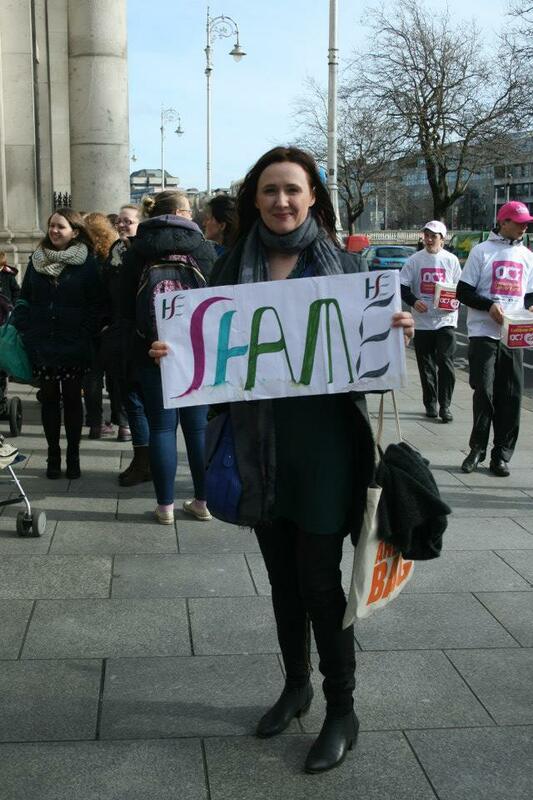 Philomena’s suspension has further served to highlighted the inequity of care in term of maternity choices and service provision in Ireland today. Have any of the questions surrounding Philomena’s case been answered? No answers have been forthcoming, and meanwhile the HSE’s continued refusal to produce the systems analysis report further delays the process and continues to cost the taxpayer a ridiculous amount of money in legal fees. Only the Minister and the Department of Health and Children can reign the HSE in on this one, When we think of the lack of services available in our maternity system and the desperate shortages of capital and staff, squandering public money by dragging out this case any further is particularly abhorrent. How many home births in Ireland?